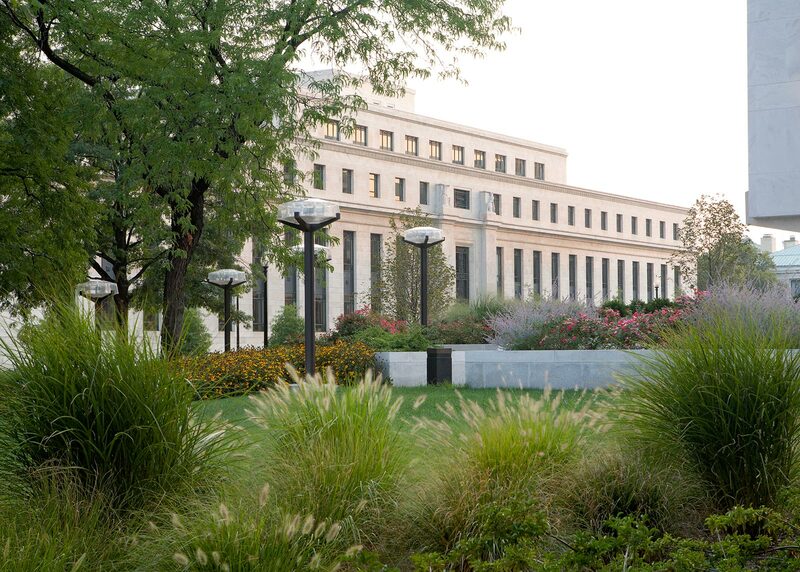 The Virginia Avenue Gardens of the Federal Reserve appear at grade but are actually on the roof of an underground parking structure. 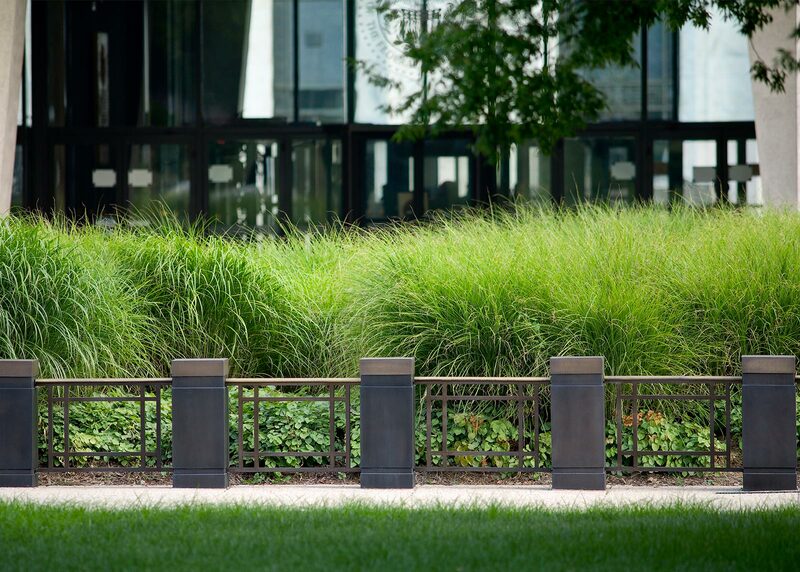 Their lush meadow- like compositions are eye-catching, especially for a site in the middle of the city. 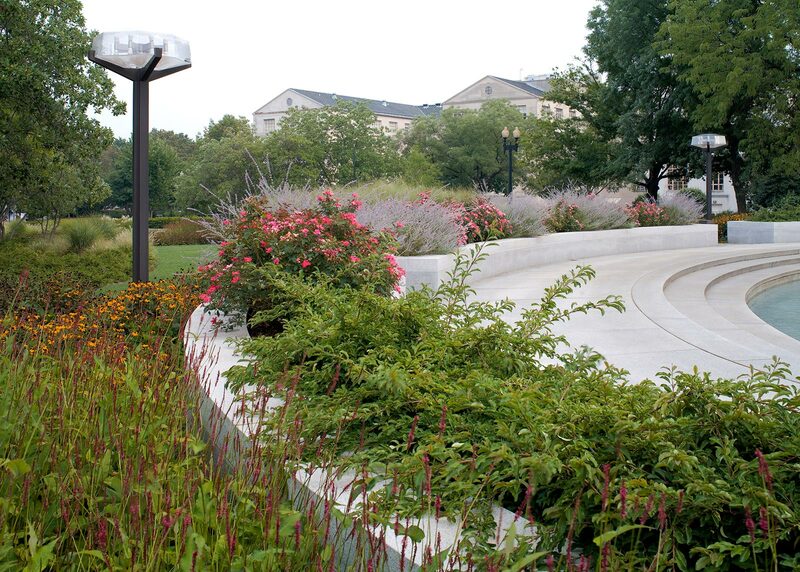 They feature sweeps of perennials set in contrast to trees and ornamental grasses. 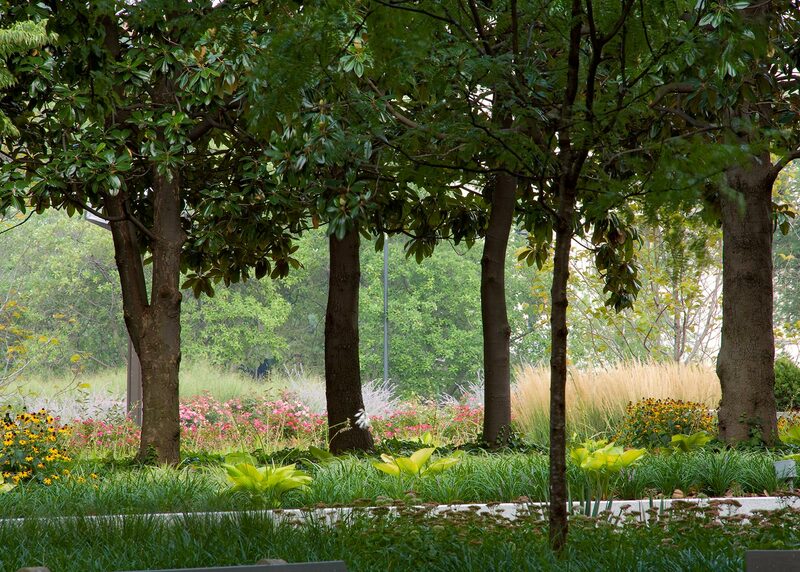 The trees offer shade, soften the visual impacts of buildings, and provide transition in scale to the urban surroundings on the five acre corporate campus. 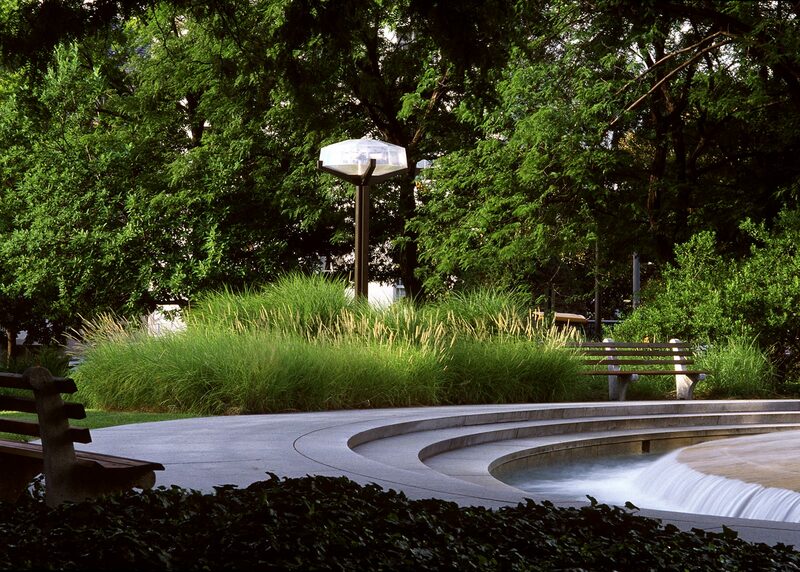 Open spaces function as sculpture gardens where visitors gather for strolls, lunches, and reading. 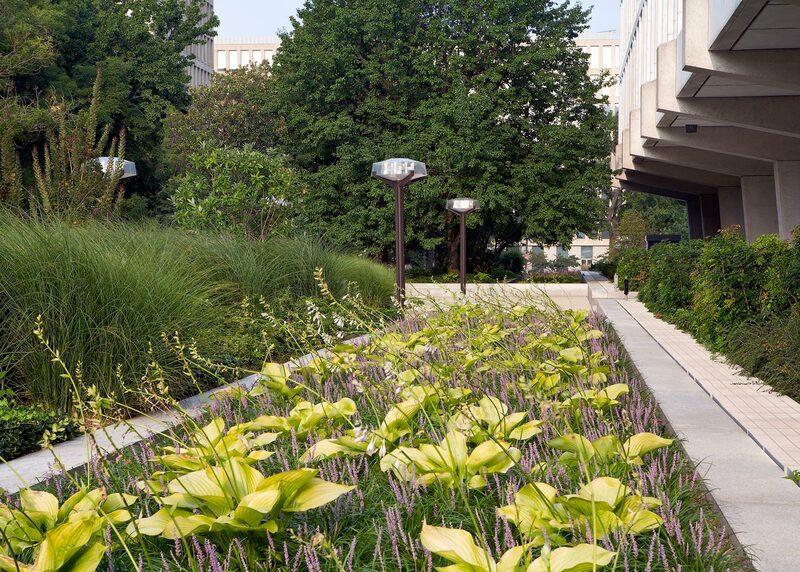 The gardens provide visual contrasts throughout the year: displays of bulbs in spring, ornamental grasses that change the scale of the site in summer, and bouquets of dried perennials and golden grasses in winter. 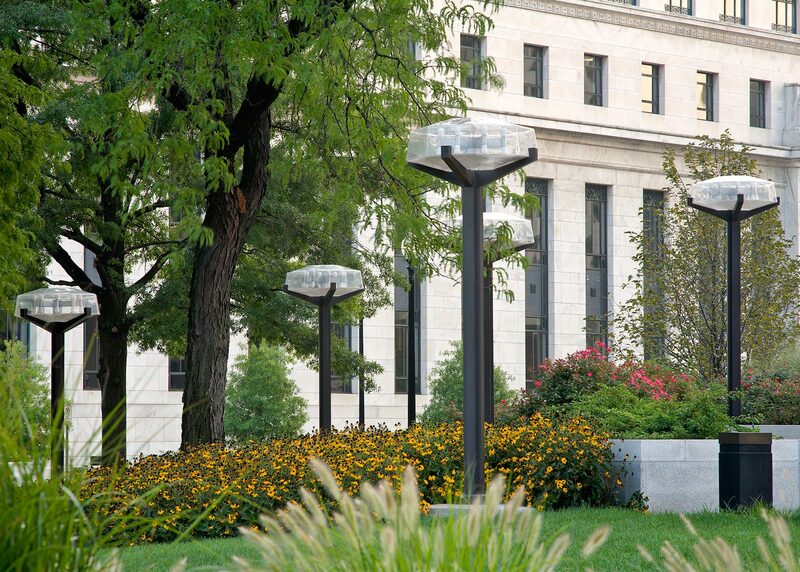 Oehme, van Sweden & Associates monitors and updates the gardens continuously, and has recently designed improvements for perimeter site security.